When you travel to another city, it's easy to gravitate towards what's familiar-- a Cheesecake Factory dinner here, a coffee from Starbucks there. But the truly memorable experiences often come when we step out of our comfort zones and into the magic of local fare. I used to travel frequently for work, and in each city, I would try to find at least one local restuarant, vintage shop or coffee bar to check out while I was there. In all my travels, I have to say there is nowhere easier to do this than in Portland, ME. As I mentioned earlier this week, the downtown area of Portland has only one chain retail store and very few chain restaurants, so this is possibly the easiest local city guide/review I have ever assembled. Come with me over the jump to learn of this lovely land of ports. Start your day with a healthy bacon and cheddar-filled donut from The Holy Donut, or if you're vegetarian, try a sweet potato ginger. 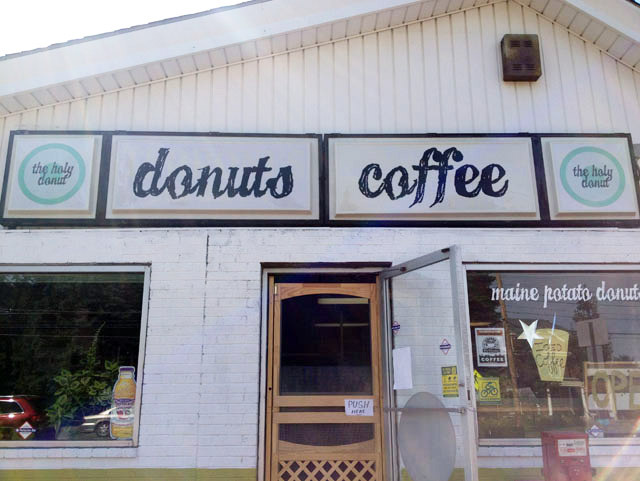 All of their donuts are delicious and made on-site with Maine potatoes and all natural ingredients. No high-fructose corn syrups or fake dyes here, folks. In fact, they have a full-on donut philosophy. 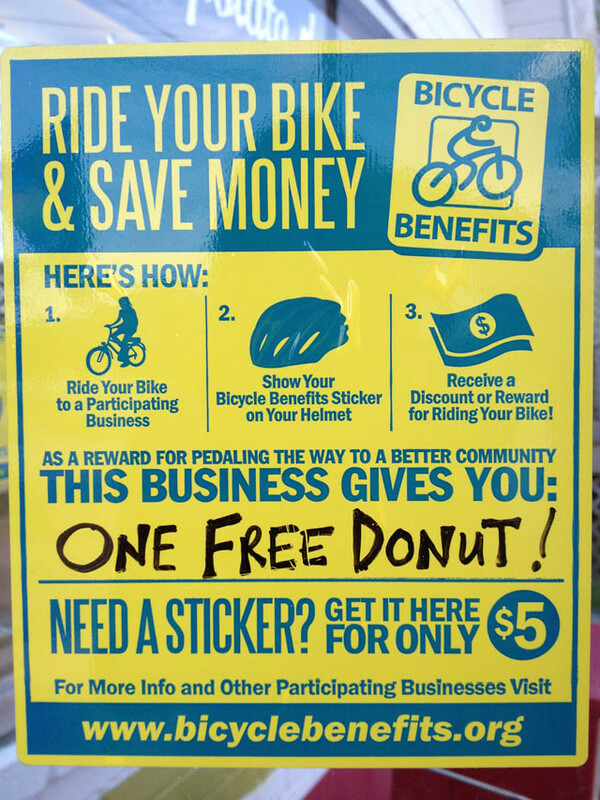 Bonus: if you ride your bike here, you get a free donut through a program called bicycle benefits. YUP. 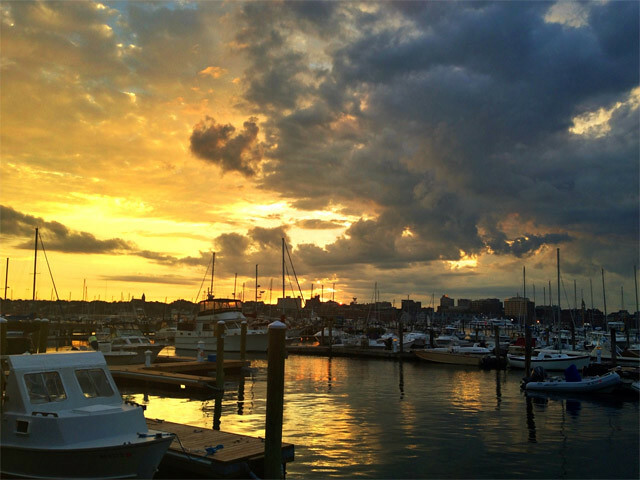 Gritty McDuff's Brewpub of Portland, Maine, holds the unusual distinction of being the first brewpub to open in that state since prohibition ended, and they have FREE beer tastings every Tuesday from 4-6 p.m. at their "Brewtique" next door. Stop into Gritty's for their sweet potato fries smothered in pulled pork and cheddar with a side of maple sour cream for dipping. AMAZING. The clam chowder isn't bad either, and yes, there are also salads and healthy stuff. Don't forget to add one of Portland's many, many local brews. Start with happy hour drinks on the patio at Cantina El Rayo. Their michelada (a beer-based bloody mary) is a crowd favorite. Try some of their appetizers, too-- they locally source almost all of their ingredients and they have a blog on which the last post is about composting. Love. 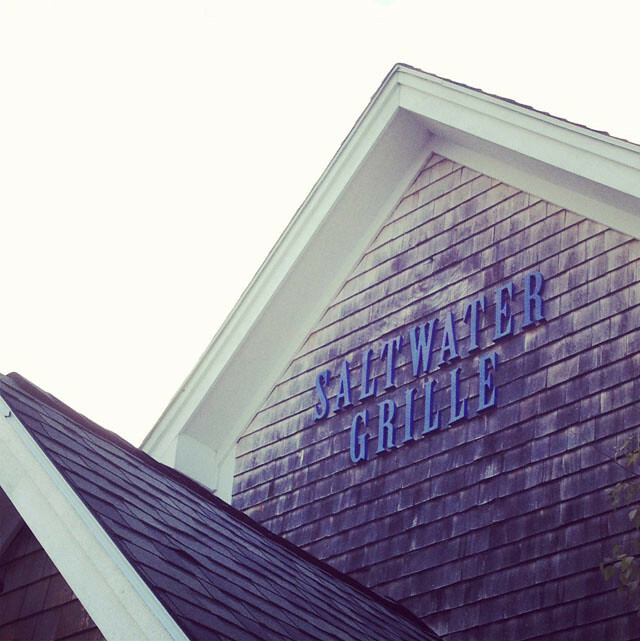 Next, watch the sun set over the water at the Saltwater Grille. The view is amazing, the food is yum, and the water you use is heated with solar power. If you're not feeling like seafood, the brick oven pizza at Flatbread Company is soooo gooood. It's technically a chain-- there are ten other locations in the USA, but this is a very fair American business to support. Their salads are made with organic ingredients and all of their dough is made with 100% organically grown wheat. They make their own nitrate-free sausages and garlic-olive oils. Put simply, they rock. Both cheese and herb pizza and the homemade sausage pizza are delicious, and so are the specials. They have an extensive beer selection that included so many American brews I had a hard time choosing. But it was here that I discovered my new favorite beer: Wolaver's Wildflower Wheat Ale (organic from Vermont). Last but not least, Flatbread Company supports local charities, such as the Portland veterans' acupuncture clinic. Obviously! When was the last time you went bowling? We bowled it up at Bayside Bowling Alley and, of course, sipped on local brews. 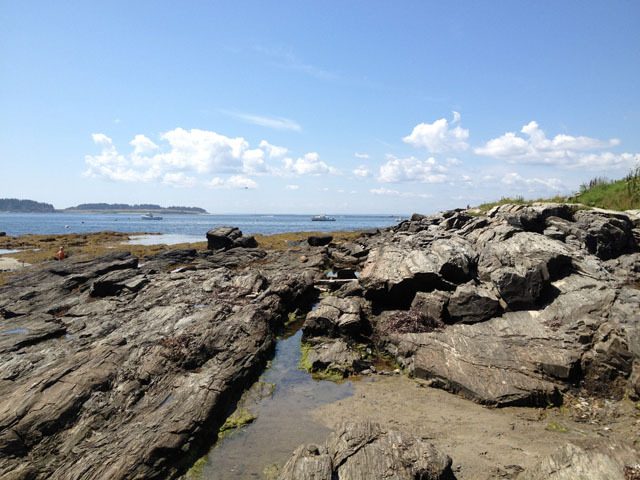 Spend an afternoon at Kettle Cove Beach, then grab some homemade ice cream from the little stand nearby, Kettle Cove Ice Cream. 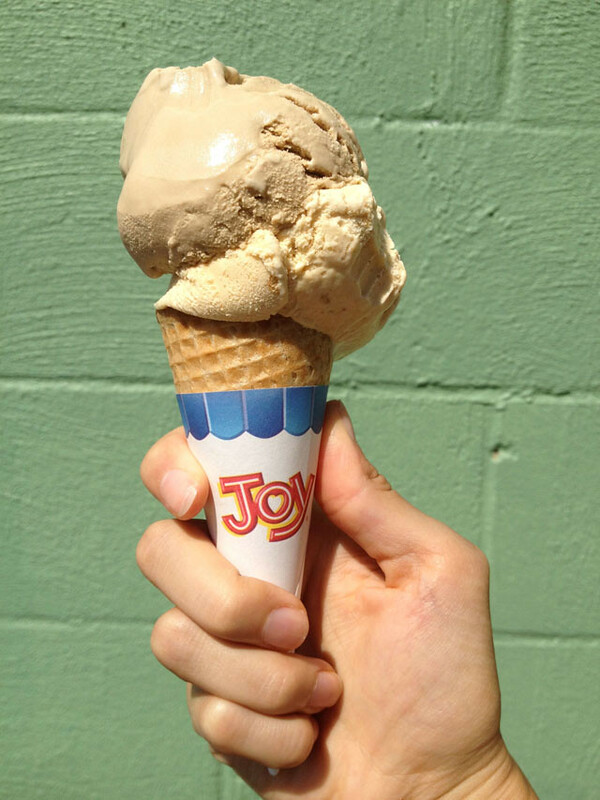 I strongly recommend getting a scoop of pumpkin pie with a scoop of coffee. Perfection. This last activity is very important! Rest your aching feet at Soakology. Soakology is a "foot sanctuary and tea house." It is also the #1 best business idea. Ever. You sit on giant poofy recliners and dunk your feet into the aroma-therapeutic soak of your choice, then sit back while someone massages your shoulders and feet. During this time, you can sip your tea, hot or iced. GENIUS. 2 Note Botanical Perfumery: select a scent here and rest easy that no one else you know will be wearing it. 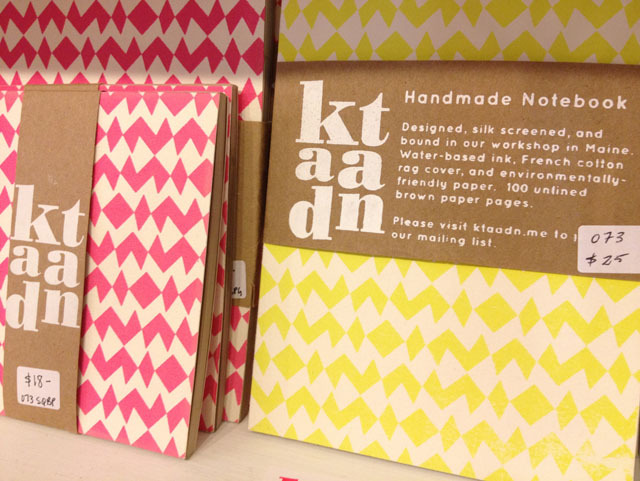 These scents are all-natural, one-of-a-kind and made on site. The Merchant Company: a variety of vintage items, handmade goods, art and locally-designed clothing fill this fun, eclectic store. 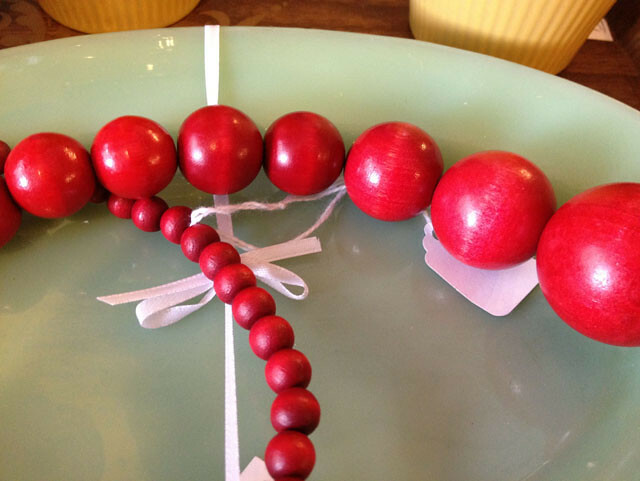 Blanche and Mimi: made in Maine, vintage and other handmade items abound. More nautically-themed than The Merchant Company, this store has a strong New England vibe. 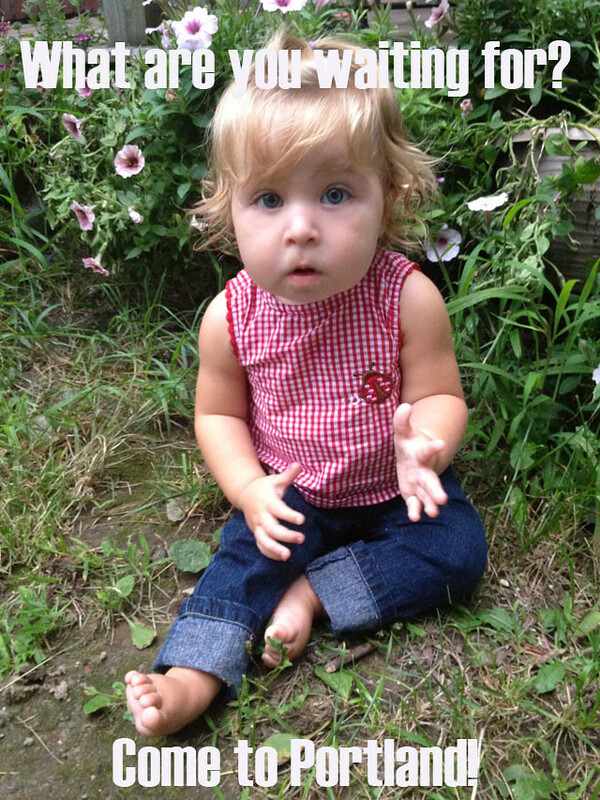 Marin's ensemble was purchased from Lots for Tots.